PHP is a widely used programming language, which allows developing dynamic web pages and applications. Other script languages can be used to develop web based applications too, but PHP is by far the best. Its popularity is because of its ease to learn, as well as use, in comparison to other programming languages. Developers from PHP Development Company make use of PHP platform, because it promotes RAD (Rapid Application Development) that saves time. It allows for creating more stable apps, and eliminates the need for monotonous repetitive coding. More than 82% of the websites use PHP scripting language these days. It means approximately 825 million websites. What is the reason of using PHP instead of Ruby and ASP.NET? PHP reading and understanding needs the knowledge of C and Perl language. PHP language rules are clean, expressive, and organized. Beginners find it simple to use and recognize the PHP syntax in comparison to other complicated programming languages. Other languages need lengthy tedious scripts, while PHP allows concluding the similar function in few codes. Being an open source, it is readily available for editing without any hassle. PHP is compatible with all the other languages and a variety of databases. You can tag PHP scripts between HTML tags easily, which enables of attaining highly dynamic web content. As PHP is written in-between the tags, it eliminates the requirement of managing and ensuring that code is in its right position. You can place code and function in any order on a document. PHP is an open source, and there is no requirement to purchase license or invest in expensive software. It works well with public license software’s like Apache Server, Text Editors, and MySQL. PHP developer offers reliable tech support. Also, the core PHP functionalities are enhancing consistently. Thus, it proves to be cost-efficient for web developers. A successful website can be created with minimal cost. PHP being free and popular has very helpful to businesses of various sectors. A lot of guidelines and references are available on the internet. You may be a beginner or stuck with coding, you’ll find solutions and tips posted on most of the forums and blogs for your assistance. You can even take support from PHP web development online libraries available in different languages. Quality actually matters, when it comes in creating a successful website, especially for your business. An experienced professional is well-aware of how to deliver quality. 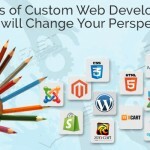 A web development project needs a lot of creativity and functionality. This can make a difference to business performance and productivity. 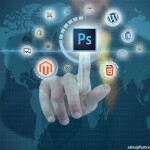 It is a task, which can be handled efficiently by a team of designers, developers, coders, programmers and marketers. All of them work together as a team and display their collective talent. A tenure PHP Development Company gives your business an ideal website for online visibility and expansion. It is their responsibility to help your business grow by delivering high performing website. An effective website is the one that has the only the necessary features and functionalities, only then you’ll be able to showcase your products and services to get better response. 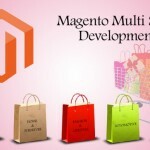 Today, PHP is the most powerful backbone of e-Commerce websites. It is also used in diversified sectors. 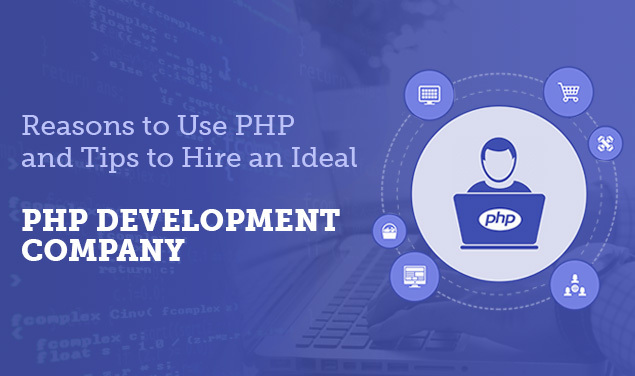 If you are determined to hire experienced PHP developer, then ensure to find the one, who can easily convert your dream project into reality. Online is the best source to find a dedicated PHP developing service. However, it is necessary to determine your employing criteria and strictly follow these requirements, when you go on a search spree. 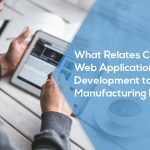 A single search on Google will provide a plethora of options, but you must thoroughly judge the skills, knowledge and experience of potential development firm or PHP developer. A certified PHP developer does not mean they are ideal for your project. You will need to test them on how they handle the related task without any issues. Therefore, it is necessary to communicate with their references. Ask them if the potential development team has handled project similar to your business. You can look through their portfolio as well as how the web app looks and works live on the internet. You can categorise PHP developers as beginners, mid and advanced level. On the basis of your project complexity select the development team experience level. Small or medium sized business owners cannot afford to hire quality assurance testing team. A PHP development company with coding skills must be competent to test the app. 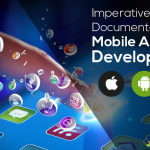 This will decrease the overall development cost and give you a completely functional app within budget. Communication skill is needed for success for any kind of project. The web development team need to be responsive and provide different communication options like chat, email or phone. Good communication between business owner and developer helps to create a successful project. 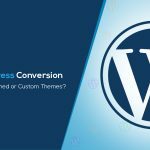 Fast Conversion specializes in providing web and mobile based PHP application development services that help to transform your online presence, dynamically. Products developed are transparent and delivered on-time. You can check the portfolio to get an idea on how we transformed as a reputed brand. To hire our PHP Development services contact us on sales@fastconversion.com and our expert team is ready to serve you.